Estuaries and shallow coastal waters are among the most productive habitats on earth, yet consistent and comprehensive baseline environmental data is generally lacking for these areas. Almost two-thirds of the world’s population lives in coastal areas, and it is estimated that 75% of the US population will do so in the next 25 years. An important data set is the soil / sediment type in the subaqueous and coastal area connecting the upland with the deep water environment (Payne, 2011). 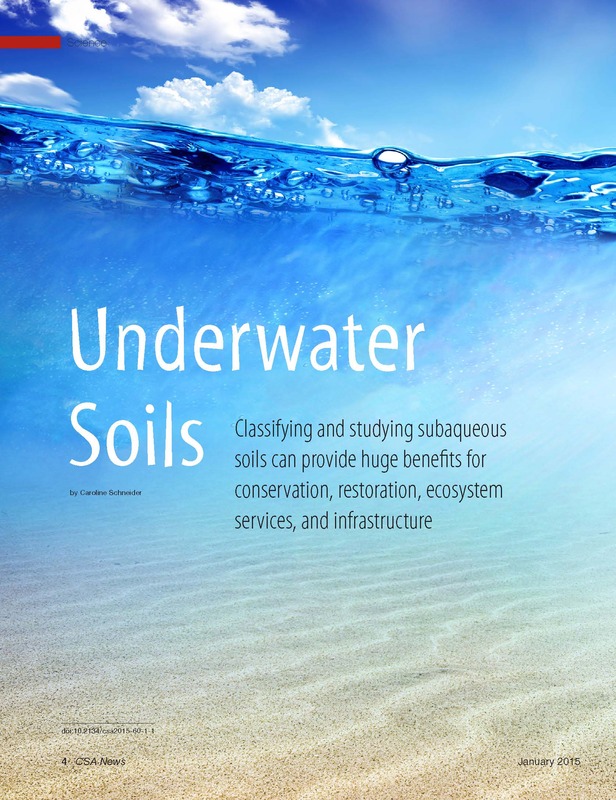 Research efforts by soil scientists in Maryland have demonstrated that shallow water sediments undergo pedogenic processes and are systematically distributed across the subaqueous landscape (Demas and Rabenhorst, 2001). Over the past 10 years, NRCS soil scientists have shown that these areas can be inventoried using procedures established by the National Cooperative Soil Survey. NOAA’s Coastal and Marine Ecological Classification Standard (CMECS) has adopted the NCSS nomenclature for classifying the sub-benthic environment, and this system is currently in review by the Federal Geographic Data Committee as a national standard. A Barnegat Bay subaqueous soil survey map will provide information on the depth, slope, physical and chemical properties of the sediments, useful for aquatic vegetation restoration, shellfish habitat, dredge management, carbon storage capability, and other applications. Field Notes and pedon descriptions will be collected at particular Locations throughout Barnegat Bay to document the differing soil types and landforms. A soil map unit legend is developed using the field documentation and soil types. All soils and observations are classified using the 2010 Eleventh Edition Keys to Soil Taxonomy (USDA-NRCS). A soil survey database (NASIS) will be built using the bay field note documentation and laboratory analysis to support publication of the soil survey. All of the information presented here on this website is preliminary and subject to change upon final correlation and publication of the Barnegat Bay Subaqueous Soil Survey. Barnegat Bay Partnership News – NRCS has prepared a general subaqueous soils map for the northern and central portions of Barnegat Barnegat Bay. Barnegat Bay Subaqueous Soil Survey Now Available Online!